This is UK STOCK! NO IMPORT TAX! Delivered within 3 working days (UPS) !!!! please bit this motor has slight cosmetic damage from shipping. This motor shares the great fundamental engineering of the BBSHD, but utilizing larger and more robust components, including it’s motor core. The Ultra Max was designed to be more reliable and handle more hot-rodding than the popular BBSHD conversion system. 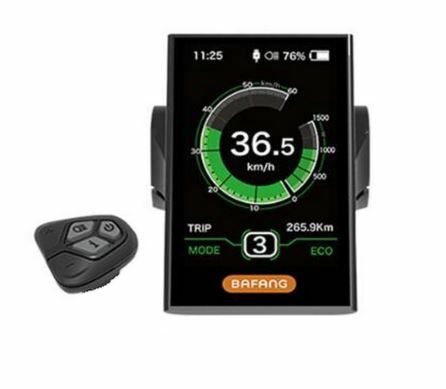 Bafang designed this drive with the intention of increasing the power in the future, knowing it will easily handle it. 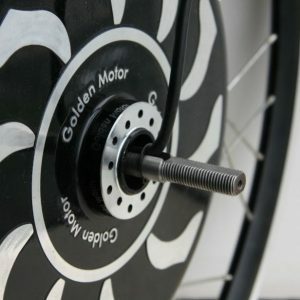 It is only 2 pounds heavier than the BBSHD (15 pounds vs 13 pounds) resulting in a much bigger motor and better heat dissipating qualities. 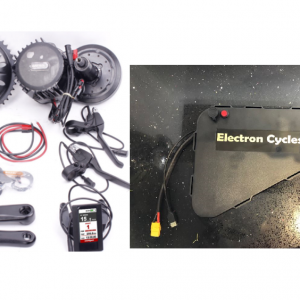 The motor includes a built in torque sensor (rather than a cadence sensor) for the ultimate in pedal assist. Unlike most of the underpowered torque sensing drives made for the 250W Europe market. This motor is for frame builders only. You can get an optional aluminum mounting plate that you can weld a frame out of, or you can just design your own. BBSHD 1700 Watt Electric Bike Conversion 52v 20Ah Triangle ABS waterproof tough battery.